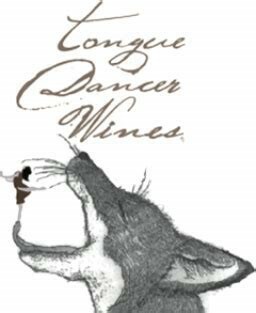 Tongue Dancer Wines is a small project started with the 2013 vintage by James and Kerry MacPhail, past owners of MacPhail Family Wines in Healdsburg, CA. The Mac Phails are passionate about Pinot Noir and this project continues their fascination with the grape. James MacPhail has been crafting wine for more than 20 years, and these wines are to some extent the culmination thus far of his search for the Holy Grail. The name of the winery Tongue Dancer Wines is a reflection of his keen interest in wines with great texture and taste. The MacPhail project is relatively modest in scale, although ambitious in goals. The portfolio consists of the three releases reviewed here plus a 2017 Rosé of Pinot Noir. The wines are sourced from vineyards in Russian River Valley and the Sonoma Coast. The Chardonnay Bacigaluipi Vineyard and Pinot Noir Putnam Vineyard are delicious single vineyard wines and the Pinot Noir Sonoma Coast is a modest offering sourced from various unidentified vineyards. Tongue Dancer Wines 2016 Chardonnay Bacigalupi Vineyard Russian River Valley ($50) 92 A lovely wine from a first-class Russian River vineyard. Stylistically, a California Chardonnay of yellow-gold color exhibiting stone fruit and tropical aromas, a rich mouth feel and nicely integrated ripe fruit with dialed down toasty notes. Nicely balanced and persistent on the finish. Tongue Dancer Wines 2016 Pinot Noir Sonoma Coast ($49) 90 The 2016 Sonoma Coast Pinot offers a dark ruby color and aromas and ripe dark cherry fruit with hints of spice and earth with an underbrush character, usually found in warm growing areas. Aged 16 months in French oak barrels, 30% new, it exhibits toasty oak and a nicely textured mouth feel. The grapes are sourced from Dijon clones 15, 667, 777 and a suitcase clone. Lively acidity on the finish. Tongue Dancer Wines 2016 Pinot de Ville Pinot Noir, Putnam Vineyard Sonoma Coast ($65) 93 The Pinot de Ville Pinot Noir is a cut above the basic Pinot Noir Sonoma Coast. Sourced from the Putnam Vineyard located 6 miles from the Pacific Ocean in the town of Annapolis, the wine displays the attractive features of wines sourced form the West Sonoma Coast. It exhibits pure, crisp and vibrant red berry fruit with good acidity and overall freshness. Aged 17 months with weekly lees stirring for 3 months in French oak barrels, 35% new, it offers a lovely texture on the palate with a hint of toast and persistent red berry and hints of earthy blackberry flavors. The wine is a blend of Dijon clones 15, 777, Pommard and a Calera selection. This entry was posted in California, Chardonnay, Pinot Noir, Uncategorized and tagged Featured. Bookmark the permalink.